Four years ago, October 29, 2012, we encountered one of our most surreal experiences. We ignored evacuation orders and stayed in our home in Monmouth Beach, New Jersey as Hurricane Sandy made landfall. A 15-20 foot tall sea wall stretched along the coast in front of our house, protecting it from storm tides. Pillars elevated the main living space above the garage. In front of the garage, we put about 50 sand bags. The forecast only called for about 65mph winds, and so we figured we would be fine. We had recently installed automatic aluminum shutters on all windows except the backside of our house. We believed the shutters could withstand at least 100mph winds. As long as the storm was within the forecasted range, we felt we were safe. However, just before landfall, the storm strengthened and made a turn for the worse. This brought a larger than expected sea level surge and wind speeds up to 110mph (45mph faster than forecasted). By about 7pm when the forecasts got dramatically worse, we were beginning to regret our decision. However, we knew it was too late to leave at that point. The town was already flooding from the backside bay at high tide before the storm even made landfall. The shutters blocked our view of the ocean, but we could peak our head out the side door to get a view of the rising ocean. We began to worry as we watched the entire ocean level rise to nearly the height of the sea wall. With the ocean level that high, the 10-15 foot waves rolling in poured right over the sea wall. The video below shows the waves crashing over the wall early in the storm. It got much worse later in the night, but we lost the footage. Fortunately, the shutters kept us safe. However, it was a very long and loud night. The wind rattled the shutters, even bending the windows as it forced its way through the slats. We slept in the basement next to the garage to escape the noise. This was probably the least safest spot in the house, but the quietest as there were no windows facing the ocean. With no electric power, we did our best to ignore the hurricane. Eventually, we fell asleep. We awoke the next morning to our most surreal morning ever. The side door by the garage had gravel from the front yard piled up against it. Ironically, the gravel probably added to the protection provided by the sand bags. We stepped over the gravel and looked at the road at the end of our driveway. Normally, cars were driving up and down the shore. Instead, sand and debris covered the road. The unreality of it all began to sink in. With that much sand covering the road to our town, we were going to be on our own for a while. The waves knocked down the fence to our backyard. The water also dragged all of the rocks, sand and pavers from our front landscaping to our backyard and pool. We had no power, and our cell phones didn’t work. We began trudging through the sand covered road through town trying to make sense of it all. Houses were partially collapsed. Boats that had been in the bay were strewn across front yards all over town. When we reached Sea Bright by foot, the neighboring town a mile north, we were directed to turn back due to a gas leak. We were without power for about the next 12 days. After a few days, we secured a generator, and a friend wired it to run some basics for our house. The roads were cleared within a few days and emergency supplies followed. Lines at the gas stations near the shore were hours long when they eventually opened. It was a long two weeks waiting for power and for things to get somewhat back to normal. We were very fortunate that our house had minimal damage other than the landscaping and pool. Many were not so fortunate and would spend years dealing with rebuilding their home or business. We survived hurricane Sandy. Our daughter soon went to work painting New Jersey maps with the slogan “I survived hurricane Sandy” to raise money for relief efforts. She donated all proceeds to Monmouth Beach School, our public school that was closed for six months to rebuild. She did the same for the Calaveras, CA fires in 2015. Her website (still under construction, kayliemichelledesigns.com) will provide a new platform for her to continue to paint to raise money for other causes in the future. 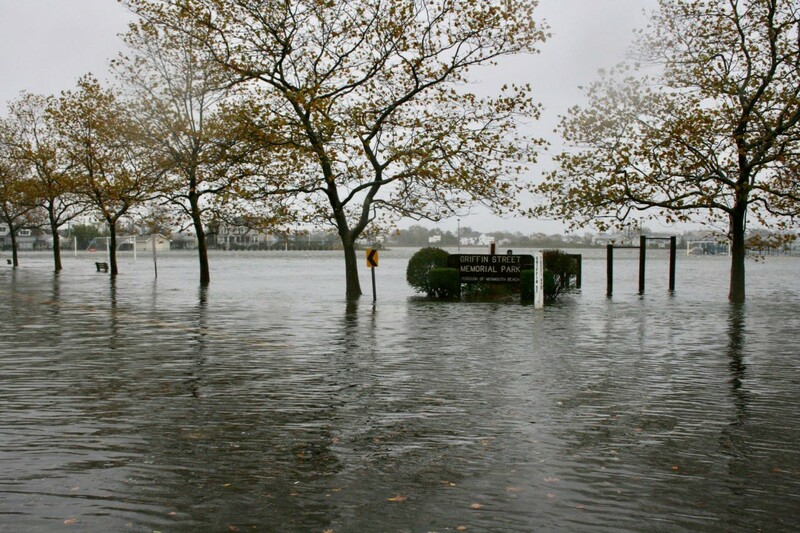 Hurricane sandy was the second costliest hurricane to ever strike the United States. It resulted in the death of over 200 people in 8 countries. Rebuilding was very hard on many families and businesses. A few years later, after most of the shore had recovered, we said good bye to our New Jersey home and friends. We made the drive cross-country to our new condo in Encinitas, California (this time a few miles inland from the shore). Dude! I remember you going through that! Crazy!! Yes that was quite a long and scary night! That night was difficult too for us who knew you were there weathering the storm. Yes, I was worried because I knew you all would be worried since there was no way to contact you. That was the scariest part for me… knowing family and friends were worried about us. Thank you for your thoughts. We were very lucky… and glad it is in our past. What a great thing that your daughter did those paintings. Yes, we are so proud of her for always thinking of others. It was crazy! Did you have much damage?! We were incredibly lucky. That is devastating to see. I am glad you and family made through it. May god bless you all! Thank you so much. It was (and still is) devastating. I was back last summer and there is still a lot of damage that needs to be repaired. Goodness I remember when it happened, so tough to witness. It was surreal. So sad to see friends lose their houses and all of their belongings. Oh wow, these are tough photos to look at. How frightening. I’m glad you guys were okay. Thanks so much! It was a frightening time and we were very lucky! Oh goodness all that damage! I can’t ever imagine going through anything like that! You’re quite lucky being so close to the ocean and ignoring evacuation orders and living to tell the story! We are very lucky. After hurricane Irene, we made a judgement call. We evacuated for that and ended up in more damage than had we stayed home. Our house and road were dry and inland flooded. It was crazy. So after studying the storm we opted to stay. We were incredibly lucky though, because this time they underestimated. Such a terrible storm, but your photos are stunning! Thank you so much! I have hundreds more…it was so surreal, we couldn’t stop taking photos. It’s crazy how fast time flies, isn’t it?! WOW, crazy about your daughters car! So glad she didn’t loose the whole thing. Was it able to be saved? This is really some experience. Your decision was brave and thankfully everything turned out to be fine. I am sure it would count as the longest night of your lives. For sure!!! It was a night we will never forget. Wow! I have never been in a hurricane before, so I can only imagine how scary the experience was for you and your family. I watched your video clip of the ocean waves hitting the wall. It made me feel nervous and also fascinated by it. I am glad that you guys are okay now. I think it’s good that you documented the experience. Hope that doesn’t sound strange, but as a photographer, I love documenting many things I experience in my life: the good and the bad. It ‘s just a great way to reflect on your life. Great post! I totally understand what you are saying. I am glad we have the photos for our daughter and her future family. It was a major life event that we were lucky to survive and to have it documented is special. I’m so happy to hear that your family survived with minimal loss, but so heartbroken for those who had not. I think your daughter is such a special girl for what she’s been doing. Thank you, Ari. We are amazed by her kind spirit and generous heart daily. ? We are inspired by her daily. WOW, that is crazy that you chose to stay! I’m glad you were safe. I’m sure that next morning was the weirdest feeling … like a ghost town. The morning after was absolutely surreal. Thank God you and your family survived and experienced only minimal losses. So many lives were terribly impacted by that awesome storm. And it’s truly wonderful that your daughter created art to help raise funds for recovery efforts. Wonderful, too, that she also did so for the California fires. She’s an inspiration and I can’t wait to see her website once it’s launched. Thank you so much for your kind words. She is anxiously awaiting her website launch. ? I’m in Nebraska so I can’t even begin to imagine what a hurricane would be like. I watched the news to see what was going on. I’m so glad your family made it through. How devastating are these photographs and this retelling of such an awful storm. Natural disasters are just so terrible and unexpected. I love the paintings. What a lovely gesture. Yes, definitely a devastating disaster. And thank you, my daughter was able to donate a decent amount of money to the local school, which was amazing. It was definitely a crazy night… a one of a kind experience (I hope)! Wow. I’m so sorry that you and your family had to go through that! Thank you for your kind words. We were very lucky. Wow. Just wow. I am glad to hear you are safe and sound. I remember watching all this on the news and keeping everything crossed for our US neighbours, it was a sad moment for the area. It was definitely a sad time. I’m from the Midwest but I tuned into the updates on the news. I was really saddened by the destruction of the Jersey shore and the boardwalk. It was absolutely devastating, but the way people banded together was amazing! We had hurricane Mathew in East Coast of Florida last month and it was devastating too! Glad to know that you and your family were safe during hurricane Sandy! Thank you. So glad you survived Matthew. That boat in the yard! That’s going to stay with me. Your daughter is very thoughtful and generous to donate to the school. Awful that you had to go through that. We got hit my hurricane Matthew but my area wasn’t that badly devastated. Whoa. Those pictures are pretty crazy. Thank you, we are pretty proud of her. Wow, you read about this in the papers, you watch the events take place on TV, but yet we are still so removed from it. What a devastating time – I’m so glad you all were able to come out unscathed. Your family seems very strong. Thank you! We definitely were extremely lucky!! I had experienced many super typhoons nd hurricanes for years (as we are facing Pacific Ocean).. It was very scary at first, and then have past and still we experience huge typhoons, and I realized we got use to it. We learned to deal with it before, during and after the huge disaster. We became mature with our resilience. That’s life, and we can’t beat nature. We saw this on the news over here and what a shock and tragedy. I cannot imagine how those who lost their homes even begin to rebuild their lives from scratch. Glad your family was safe. Thank you… our family was definitely lucky. We have friends that are still dealing with the aftermath. I remember when Sandy hit (fellow New Yorker) such a rough time but we pulled through! Things like this make me super grateful for life and the fact that we don’t have natural disasters in my part of the world. So good to know you made it, and I can’t wait to check that site as soon as it’s up. I am trying to get my daughters site finished up so we can go LIVE. She’s very excited! I remember Hurricane Sandy causing a big havoc all around and I am sure you have experienced something bigger staying at home as it could have been so scary all night. The pictures tell the real story of the havoc it has caused and I admire the brave efforts you have put in to stay stronger! Thank you for sharing this post. I can’t imagine what you and everyone else there must have through, but we have a lot of natural disasters in my country and it is always hard for everyone. I hope for the best for you new home! It was definitely crazy! It was so sad to see the destruction everywhere. Wow! I do remember this, it was right before the last election…can’t believe how quick the past 4 years went by!! Also, since I am a runner, I remember the huge ordeal with cancelling the NYC marathon… Glad you are all ok & hope you enjoy life in Cali!!! Thanks, Angela! We are loving life in Cali. I am a California girl, so am happy to be home! It sure is. We were so lucky… and proud of our daughter. Thats a big move. Mother Nature was really brutal that year. Wow. That is crazy! I am so glad he got out safely! !